Marvel wants to seriously capitalize on their good name at the moment, and it looks like they are going to get while the gettin' is good. Aside from the two to three movies a year we are going to get from Marvel Studios, Marvel TV is also expanding, and it looks like they may be bringing even more programming to Netflix. As it turns out, Netflix may have just wrapped production on not one, but four separate pilot shorts based on Marvel Comics characters. The report comes courtesy of Bleeding Cool who state that Marvel has recently wrapped shooting four different pilot shorts for Netflix. There wasn't a lot of information available on all of the pilots, but according to the report, one of the pilot shorts is based on the character of White Tiger. Here is what the report had to say about it. "There have been a number of characters in Marvel's history that have claimed the title but Bleeding Cool has been told that this is a female actor. We're scrambling for details, but as we understand it, this would be the Angela Del Toro versions of the character, ex-FBI agent, niece of the original White Tiger, born and bred in the Bronx." 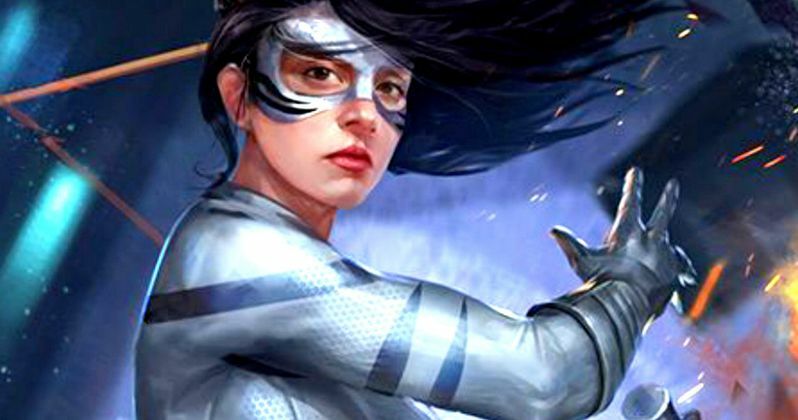 White Tiger, at least the version of the character that the report claims is in the pilot, has already been mentioned within the streaming Netflix Marvel universe. During an episode of Jessica Jones, Krysten Ritter gave Angela Del Toro a name drop, so that may lend some credibility to the rumor. Also, should the show move ahead at Netflix, it would also be a big diversity play for Marvel and the streaming service, as the show would be led by a hispanic superhero with Angela Del Toro. The character of White Tiger originated in the 1970s from writer Bill Mantlo and legendary comic book artist George Perez. That version of the character was named Hector Ayala, who is the uncle of Angela Del Toro. Hector had the ability to turn into a super powered, superhuman tiger, using the power of the Jade Tiger Amulets. Angela Del Toro eventually inherits those amulets from her uncle and then takes up the mantle as White Tiger. Del Toro also has extensive history with Daredevil, who is part of the Netflix Marvel universe, so that would seem to gel very nicely with what is going on currently. There is no word on casting or any other details to speak of for these pilot shorts. Not only that, but The Wrap reporter Umberto Gonzalez took to his twitter to dispute the report, saying "DEADED. Not True." There have been rumors that Netflix was looking at characters like Ghost Rider, Moon Knight and Blade, but there has been no official word on any of those, except that a version of Ghost Rider will be appearing on Agents of S.H.I.E.L.D. during this upcoming season. We will be sure to keep you posted as more firm details become available on these rumored Marvel Netflix shows.